Here at A Plus Computers, we don’t assume that you need someone else to upgrade your computer. We offer all of the parts you need to do the job yourself. This will allow you to save plenty of money and avoid the wait times involved in shipping the parts you need from online vendors. Some of the most common upgrades are also the simplest to perform. This is because most of a computer’s internal parts are simple plug-in components. Therefore, for most upgrades, it’s easy to figure out what to do even if you’ve never looked inside of a computer case before. Online guides also exist to provide step-by-step instructions if you get confused. Memory upgrades are some of the most popular improvements. A more-powerful stick of RAM can really speed up the machine’s performance. Installing this is as easy as finding the right slot, opening the brackets, and sliding the new RAM. Though sometimes depending on your system, RAM might need to be places in certain slots to improve performance. This same principle is true of most computer parts. CPU fans, cables, power supply units (PSUs) and almost everything else inside the case will only fit into one place or a couple of equally-acceptable places. This saves you from having to guess where anything goes, so it’s easy to pop in new components. 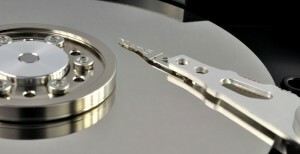 Hard drives can also be replaced by the user. 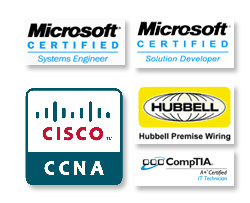 If you don’t know which kind to get, our technicians can advise you. Once you have the right one, though, installing it is a piece of cake. We have all of these components and more at our store. If you’re in Apple Valley or another town in the High Desert region, contact us to see if we have the part you need in stock or to get advice for your project. You’ll be amazed at how inexpensive it is to get all of your computers parts at A Plus Computers and do the work yourself!